8 days from £899pp plus international flights. This is the perfect 'away from it all' holiday. Your very own Indian Ocean island paradise! Whether escaping the British winter, winding down after a busy safari or simply treating yourself to a week of tropical sun, this is the holiday for you. We've chosen a small, boutique, adults only hotel on the north coast of the island set on a secluded beach. The hotel offers a wide range of water sports and activities as well as a spa and no fewer than 4 restaurants serving a variety of cuisines. Choose to be as active, or not, as you wish. 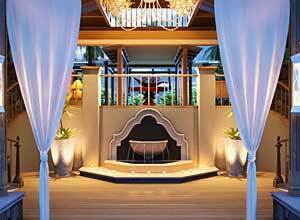 You'll enjoy the laid back atmosphere and exotic Mauritian charms. This is the ideal way to spoil yourself and emerge relaxed and re-energised after your week in paradise. 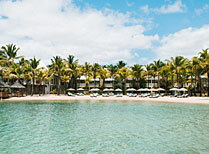 Today you arrive at Mauritius airport where you will be met and transferred to the north coast of the island and your hotel, the lovely Paradise Cove. This will be your home for the next week. Relax after your flight and enjoy the ocean views. Your first full day at Paradise Cove Hotel & Spa, with its secluded white sandy beach sheltered by a rocky peninsula. There are panoramic views over the ocean and the five islets of the north coast. The tropical gardens are filled with multi-coloured hibiscus and bougainvilleas and fragrant frangipani. 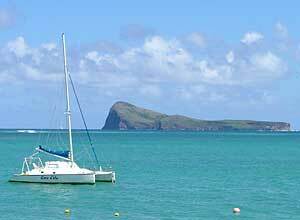 The hotel offers many complimentary activities including sailing, surfing, kayaking and glass bottom boat rides. Snorkelling and water skiing are also popular pastimes. Away from the the beach, the hotel has tennis courts, a fitness centre and a games room. There are 4 restaurants and a bar on site.Breakfast & dinner. â€‹As well as the on site facilities, there is plenty to see and do in the local area. 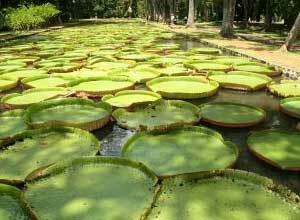 One of the five islets is a natural reserve for endemic flora and fauna which you can visit. Mainland attractions include: Cap Malheureux, a small village just 2kms from the hotel and Grand Baie with its many restaurants, boutiques, bars and casinos. Also within easy reach are Pamplemousse Gardens and Sugar World,an interactive museum built in the decommissioned sugar factory of Beau-Plan, a must for lovers of the historical and cultural aspects of Mauritius. Four further days of relaxation and activity in whatever combination you wish! You may chose to sunbathe on the secluded, private beach, stroll through the tropical gardens, cool off with a swim in one of the pools and maybe try a treatment at the spa which offers massages, facials, flower baths and aromatherapy. When it comes to eating you're spoilt for choice in terms of cuisine and location with 4 restaurants to tempt you. 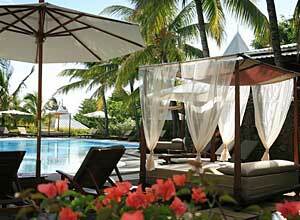 Relax and enjoy this utterly romantic Indian Ocean paradise! It's time to leave. After breakfast you will be transferred back to the airport in time to check in for your flight home. Price notes: 2019 prices based on 2 sharing and excluding flights: 27 Apr – Sept 2019 from £899. 28 Jan – 26 Apr 2019 from £1050. 6 – 27 Jan & Oct from £1194. Accommodation on a twin share basis; return private transfer from the airport to Paradise Cove; meals as specified; complimentary activities; half litre bottle of mineral water on arrival; services of an English-speaking rep 24 hours a day. Departure dates: This is a tailor-made holiday and can begin on whatever day you wish. We can also lengthen or shorten the itinerary to suit you. 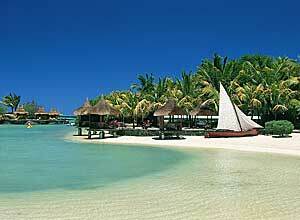 Paradise Cove is located on the north coast of Mauritius, with its own private beach and a lush tropical garden.